The ASUS ROG STRIX GeForce RTX 2080 impressed me more than the ROG STRIX GeForce RTX 2080 Ti in this review so I’ll begin with that. Featuring a boost clock of 1890 MHz which is the same as the AORUS GeForce RTX 2080 Xtreme but with even better thermal performance. The ASUS ROG STRIX GeForce RTX 2080 really does shine in the performance department compared to all other graphics cards with the TU104 GPU core. While it may not be the most cost-effective solution in the market, retailing for $869.99 US, the ROG variant offers way better cooling than the Founders Edition model and even better clocks when compared to the NVIDIA NVTTM solution. 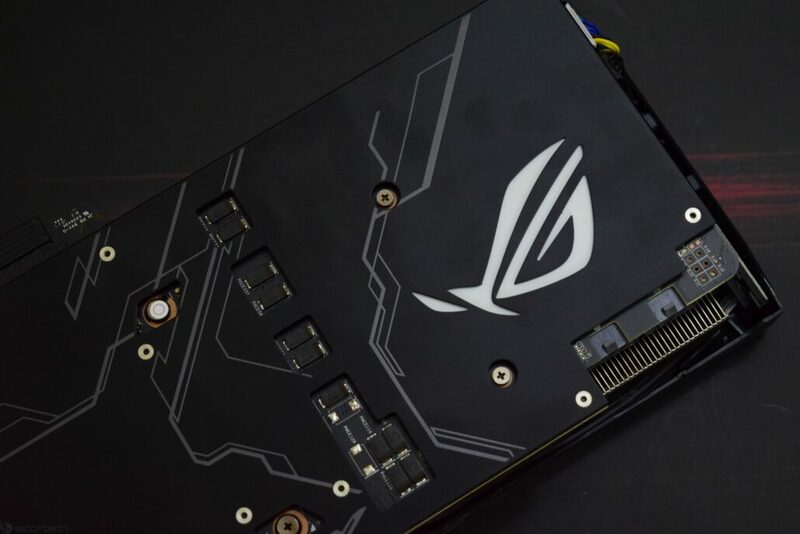 The ROG STRIX GeForce RTX 2080 comes with a 10+2 Phase PCB design featuring a solid component layout and dual 8 pin power delivery that lets you overclock the cards by a great margin. The new axial tech cooling design is something that impressed me on both RTX 2080 Ti and RTX 2080 ROG STRIX variants. Looking at temperatures far below the competing custom cards, ROG’s cooling implementation and the enhanced 2.7 slot heatsink with larger cooling area really does work here. My only issue is the 2.7 label which should have been 3 slots as users can get slightly confused with this marketing label. In terms of power consumption, I was looking at the slightly efficient operation on both cards compared to the competition which is a plus as it further adds to Turing’s already great power/performance efficiency. The RGB implementation is similar to the last generation design which is fine as nothing was wrong with the previous design either. You can tinker around with the settings in ASUS’s AURA Sync app which offers lots of customization options to users. 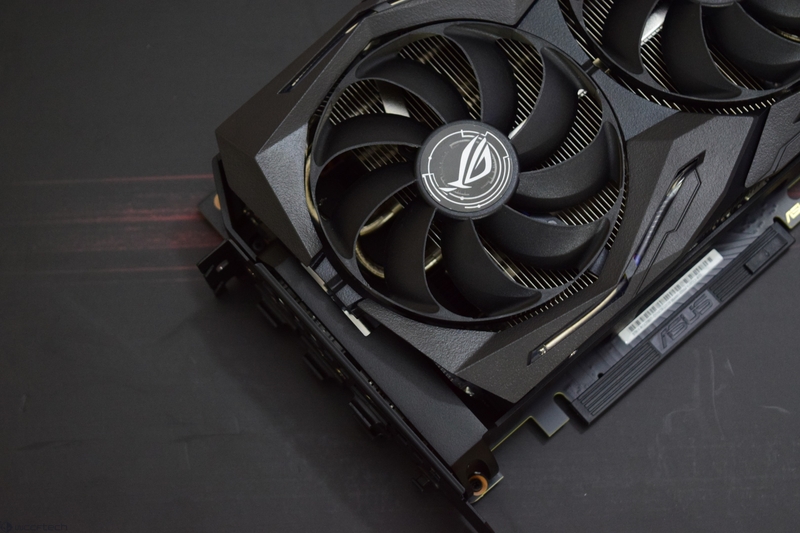 The ASUS ROG STRIX GeForce RTX 2080 is really a well-rounded graphics card, offering one of the best graphics and cooling performance in a nicely fit package. As far as the RTX 2080 Ti is concerned, I was expecting far better clocks but the manual overclock capabilities of the card makes up for it. The RTX 2080 Ti ROG STRIX is one of the most powerful graphics card available on the market, featuring the best cooling performance and two BIOS modes made for performance enthusiasts and noise free gaming. With only 30dB of noise using the quiet mode, this has to be one of the quietest RTX 2080 Ti graphics cards while keeping up with the impressive thermal figures. The ROG STRIX GeForce RTX 2080 Ti retails for $1299 US on retail. The ASUS ROG STRIX GeForce RTX 2080 Ti is one of the most powerful graphics card available on the market, featuring the best cooling performance and two BIOS modes made for performance enthusiasts and noise free gaming.